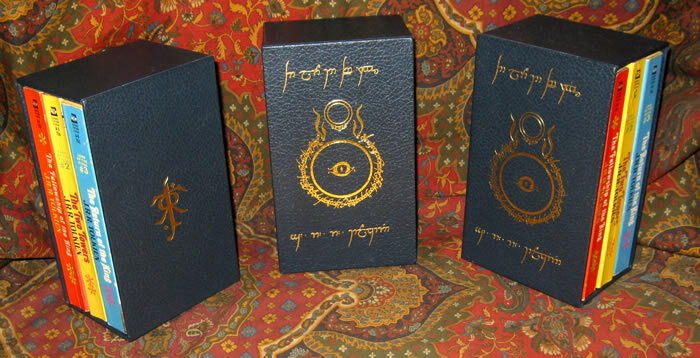 Also a 3 volume slipcase for the Ace or Ballantine Lord of the Rings paperback editions are also available at this price. 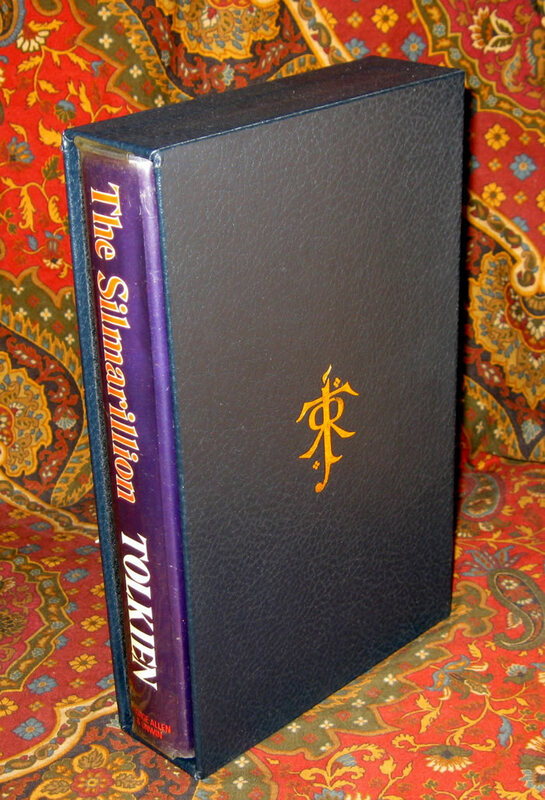 The Hobbit and Silmarillion, Custom Slipcase for the UK and US 1st or 2nd Editions. This open ended slipcase is custom made to house your J.R.R. 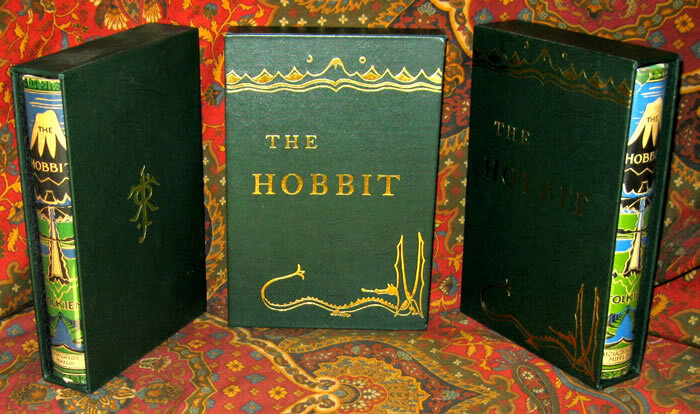 Tolkien - The Hobbit or Silmarillion collection. Hand made from the finest acid free bookboard and covered with gilt stamped faux leather. 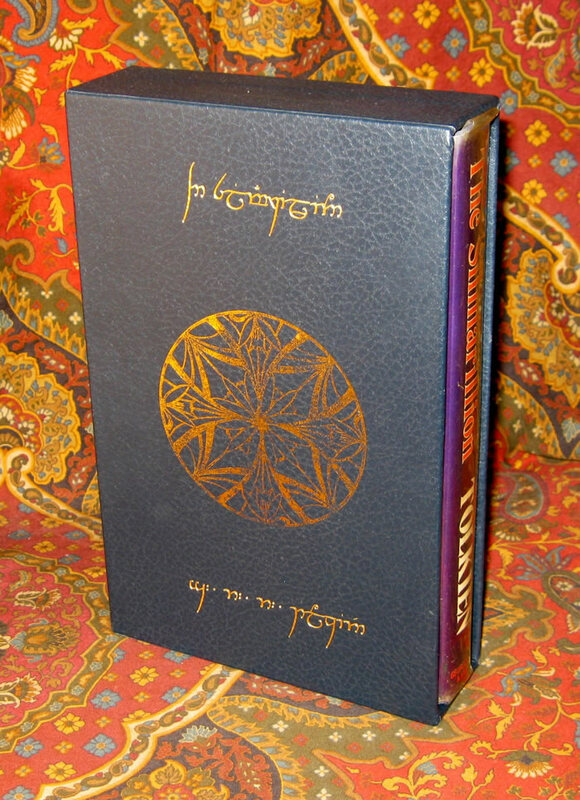 These are hot foil stamped with the title, author, and a unique design for each book, from Tolkien original drawings or illustrations. Each case will house the original Allen & Unwin printings of the 1st or 2nd editions as well as the Houghton Mifflin 1st and 2nd editions. The case also feature a fully lined interior. Measurements to be provided at time of purchase, so the case will be made to fit your book(s). Made from highest quality acid free boards and papers.